On October 15, 2013 Family Promise North Fulton/DeKalb held an appreciation dinner for coordinators and supporters of the program. The event was held at the Roswell United Methodist Church and was attended by over 40 individuals. Two families that have graduated from the program and into more stable housing shared their thoughts about Family Promise with the attendees. Food, and fun were shared by all. Click this link to see the pictures. Over 115 people gathered together in honor of Family Promise of North Fulton/DeKalb on Saturday night, Aug 24th. We had great food, wonderful fellowship, and raised $1,800 for a good cause. Congratulations to Mt. 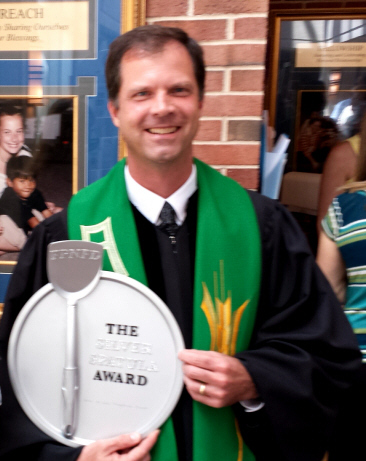 Vernon Presbyterian for winning the competition dethroning last year's winner St. Luke's Presbyterian! 11 Alive Story about Family Promise North Fulton/DeKalb! DUNWOODY, Ga. -- More than 150 volunteers from Dunwoody United Methodist Church welcomed four homeless families to live in the church last week as part of a national program called Family Promise. 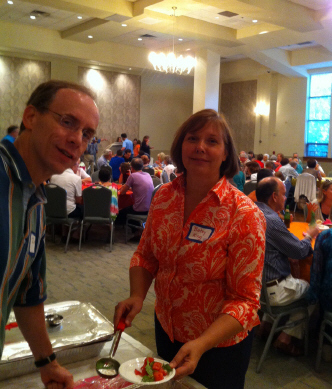 Dunwoody UMC is part of a local network that consists of 12 host congregations: Temple Sinai, Mt. Vernon Presbyterian Church, St. Luke's Presbyterian Church, Roswell UMC, Northminster Presbyterian Church, Temple Beth Tikvah, Roswell Presbyterian Church, Kingswood UMC, St. Dunstan's Episcopal Church, Alpharetta Presbyterian Church and Holy Innocents' Episcopal Church. The host congregations provide rooms for the homeless families four weeks out of the year, once per quarter. A total of four single mothers and seven children, ranging in age from 7 months to 12 years, arrived at Dunwoody UMC on Sunday, April 28 and stayed until Sunday, May 5. This week, they're in the care of St. Dunstan's. One of the children attends Vanderlyn Elementary school in Dunwoody. The other children attend schools in Roswell. The congregations provide sleeping space, meals, a relaxation area, fellowship, overnight chaperons, and bathroom facilities during their week. Families leave the congregations each morning (except on Saturday) by 7:00 a.m. for a Day Center, school, or work. They return at night at 5:30 p.m for dinner, fellowship and to sleep. "We're thrilled to increase our homeless ministry outreach by helping families in our own community," said Jenny Carter of Dunwoody UMC. "It was wonderful." "Everyone who volunteered got a lot out of it, and so did the families we hosted" Carter said. "They were very grateful." The churches involved have been planning for Family Promise for the past two to three years. Rock Center with Brian Williams clip about Homelessness. Thanksgiving week saw another blessing come our way, as familial homelessness drew national attention thanks to a story on Rock Center. Click HERE to be taken to the story on the Rock Center website. 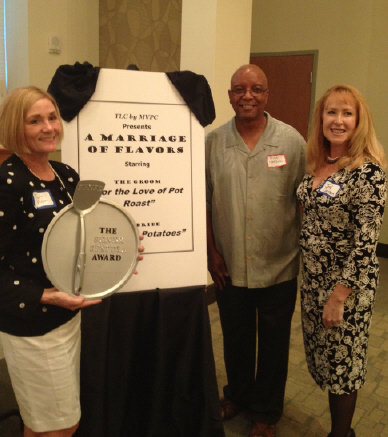 Over 130 people gathered together in honor of Family Promise of North Fulton/DeKalb on Saturday night, October 6. We had great food, wonderful fellowship, and raised over $1700 for a good cause. Congratulations to St. Luke's Presbyterian for winning the competition!